Dogs are endlessly fascinating creatures. No matter how well we think we know our dogs, they can often surprise us with what they get up to. One little quirk you may have noticed is your dog occasionally channeling their inner grazing cow and munching on some grass. While there’s no need to worry about your dog’s sanity or sell your lawnmower just yet, there are a few reasons why your dog may be getting their grass on. 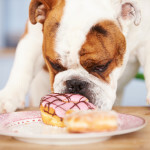 Even though we often view dogs as carnivores, they’re actually opportunistic omnivores. So that means they traditionally scavenge on whatever foods are available – including a mix of meat and plant matter. While modern dogs have their meals lovingly prepared and have no real need to scavenge, those wild dog tendencies can be hard to ignore. 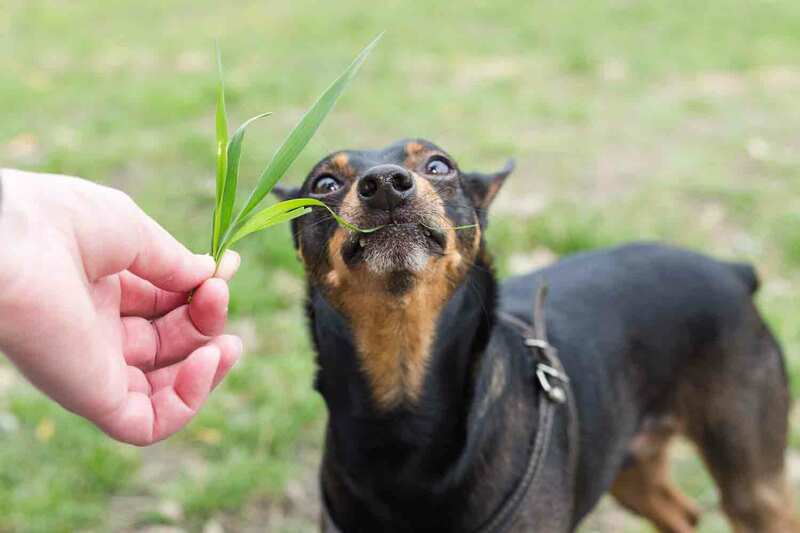 Of course, it’s unlikely your dog is taking such an academic approach to grass eating – they may simply enjoy a nibble on the lawn because it tastes good! Your dog’s natural instinct to eat grass may also be a way to help correct nutritional deficiencies, such as a lack of fibre or essential nutrients. In much the same way that we boost a less than ideal diet with vitamins and other supplements, your dog may instinctively eat grass to help balance their diet. Feeding your dog a nutritious, whole food based diet gives them a great baseline for ongoing health, but be sure to respect their omnivorous ways by including a mix of high quality meat and vegetable matter. You can download below our FREE ‘Can My Dog Eat This?’ poster, which details what human foods your dog can and can’t eat. 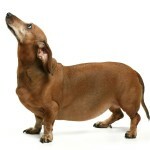 Some dogs may eat grass to help calm an upset stomach. 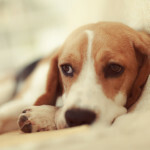 Ingesting grass irritates the digestive system lining which then may cause your dog to vomit. This can be a particularly effective remedy for settling your dog’s stomach, especially if they’ve eaten something they shouldn’t. A great way to settle and support your dog’s digestive function is by adding Dig-In Digestive Gravy Powder to their daily meal. This all natural, health supplement has been specifically formulated to normalise your dog’s digestive function, balance their fibre intake and aid with the common symptoms of food allergies. When does grass eating become a problem? 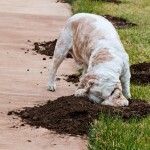 More often than not your dog’s grass chewing is completely harmless, but occasionally it may require further attention. If your dog suddenly increases the amount of grass they’re eating, or if they display other symptoms such as general listlessness, excessive swallowing or salivation, or frequent diarrhoea or vomiting – immediately consult your vet. Abnormal levels of grass consumption may suggest your dog has swallowed something bad, could point to a food intolerance or allergy, and can even cause a digestive obstruction. 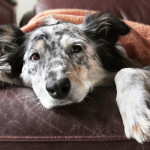 So provided your dog’s grass eating behaviour is not associated with other symptoms, and is an occasional indulgence rather than an obsessive habit, there’s no need to worry. More than likely, grass eating is just your dog being a dog. Who knows what you’ll discover about them next?